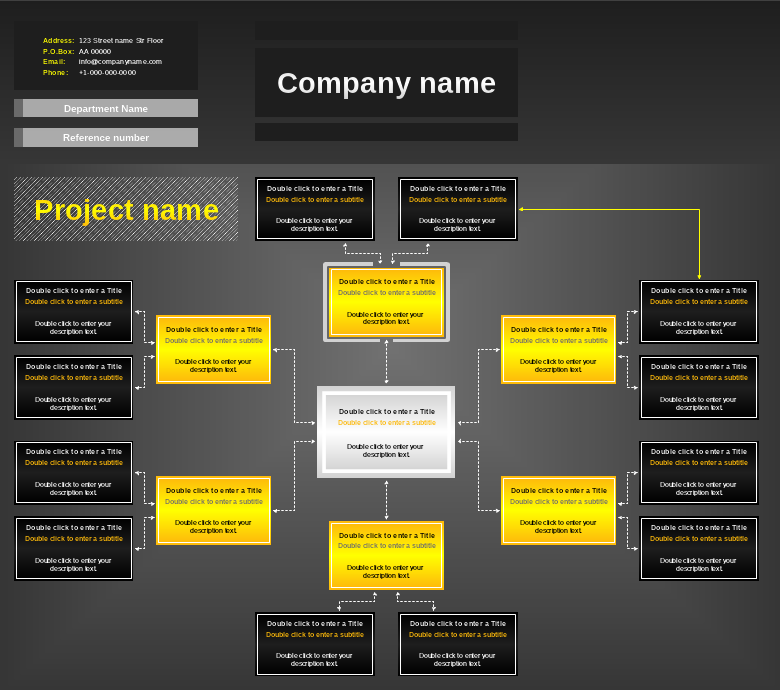 This technical diagram template is a perfect organizational chart when you are willing to visualize a team working on a project. The diagram is based around the team leader, and shows the various departments who report to him / her, as well as the subordinates of each department. The diagram is also optimized for the input of a large amount of information regarding the position and duties of each individual.